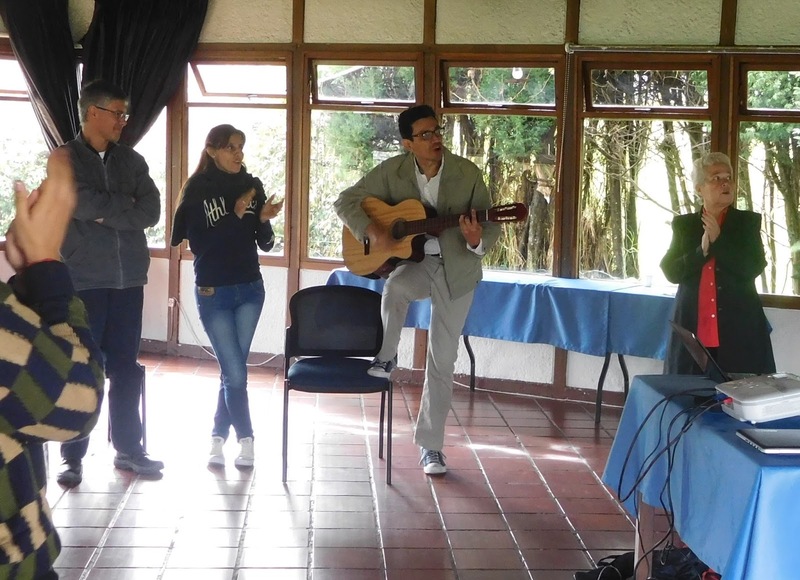 During a retreat for the human rights program this past weekend, Pastor John Hernandez (playing the guitar) taught us a new song (Fe y Esperanza Viva, Living Faith and Hope). Everyone loved it and got into singing it. Photo by Curtis.